1961. While on a pilgrimage to the Holy Land, English teacher Barbara Vaughan becomes intent on joining her archaeologist fiance Harry, who is working on the site of the Dead Sea Scrolls. 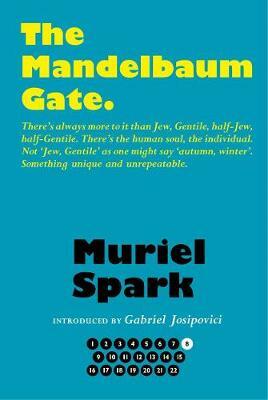 Ignoring warnings not to cross the Mandelbaum Gate - the boundary between Israel and Jordan and the division between an old land and a new land - she enlists the assistance of British diplomat Freddy Hamilton and Arab contacts. An exotic and extravagant tale of abduction, espionage and pilgrimage.